Marvin was unsuccessful in his lone field-goal try during Friday's 17-0 preseason defeat at the hands of the Jets. 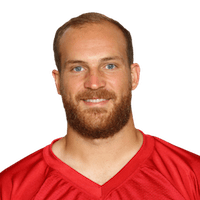 Marvin is slated to serve as the team's kicker for the preseason opener with Matt Bryant (undisclosed) sitting out, Vaughn McClure of ESPN.com reports. Analysis: Marvin spent last year playing for Georgia, but he didn't serve as the team's primary placekicker. He will temporarily fill in for the veteran Bryant, but it's not believed his injury is serious. Assuming that holds true, Marvin would have a tough time cracking the 53-man roster regardless of how he kicks in training camp. There are no videos available for David Marvin. Click here to view all videos.